My husband and I got married even though we were broke. We had money saved up to pay for the wedding and a few months of expenses until I could get a job in the state we were moving to, but that was it. My parents were completely against us getting married when we did, and now that I have a daughter of my own, I get it. My husband hadn’t finished his college degree, and I had only been working in my career for about a year and a half. My engagement period was the best and worst time in my life. I was super excited to start my life with my husband. We both felt that God was calling us to move forward with our decision. On the other hand, most of my family members thought I was making a big mistake and every other week an aunt or uncle was calling me to try to change my mind. One of them even promised to pay for our wedding and furniture if we just waited a while longer. We went ahead and got married 6 months later. I wanted my husband to be able to completely focus on school without having to worry about working enough hours to pay our expenses. So we agreed that I would be the main breadwinner until he was done with school. 1. You’re going to have to be okay with being left out. Most of our first two years of marriage we had just enough to pay our bills. And we had decided that we weren’t going to spend money we didn’t have just to keep up appearances. So I had to miss a lot of family events like weddings and vacations to the Caribbean. While everybody was upgrading to smartphones, we were rocking basic flip phones to keep our bill down. It was tough but it taught us to live simply and plan for the future. 2. You’re going to have to learn to be resourceful. The thrift store and our church’s food bank became my best friend. We figured out that we could save money by going to the food bank every week to get bread, peanut butter, canned foods, and other little items that we would usually buy at the store. That freed up money for us to use for other things in our budget. The thrift store had really good deals on clothes on certain days of the week, and if I just took time to look through the clothes carefully I could find good quality brands like Ann Taylor, American Eagle, and GAP. I also learned to ask around instead of being so quick to go to the store to buy stuff I needed. Sometimes people have extra quantities of stuff lying around that they don’t mind giving away. That was really hard for me to do though, because I wasn’t used to putting myself in the vulnerable position of asking people for anything. 3. Don’t compare yourself to your peers. This is something that I really struggled with. My husband grew up poor, but I was used to having my parents giving me everything I needed. So when I would scroll through my Facebook and see my friends and people I went to school with going on exotic vacations and fancy parties. In my mind I imagined them looking down on me because I hadn’t “made it” yet. And that caused me to feel really insecure about my situation and take my frustrations out on my husband. It takes a really mature person not to equate their value in the world with their financial status or career “success.” And that was my problem. I kept thinking of myself as less than because I didn’t have money to buy myself brand new clothes or take trips. And because I thought of myself that way, I assumed everyone else did too. 4. Keep your goals in mind. It takes time to become financially stable. It’s not just about having money but it’s also learning how to use it responsibly. We worked toward an emergency fund and came up with a plan to pay off all of our debts before 40. Every time we’re tempted to take a detour we have to remind each other about our plans and the financial legacy we want to leave our kids. And we remember that having “fun” now and coming back home to a mound of credit card debt (with interest) isn’t really fun but immaturity. When I look back at our journey I’m so glad my husband and I have been able to learn and start building from the ground up together. It’s wasn’t easy, but I also knew that things wouldn’t be that way forever. To people facing a similar decision I would say to move forward only if you’re willing endure humble beginnings, make sacrifices, and not care what people may think of you. P.S. 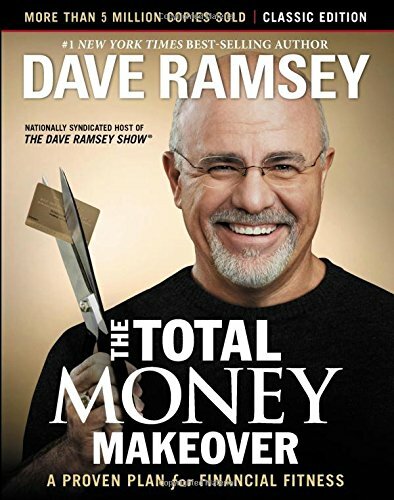 If you want to get a head start on financial preparation for married life I suggest reading Dave Ramsey's "Total Money Makeover," with your partner (or even by yourself). I GUARANTEE it'll change the way you relate to money! And if you want to hear more about our experience that first year, join us for our FREE webinar next week Friday! Click here to get more details! !